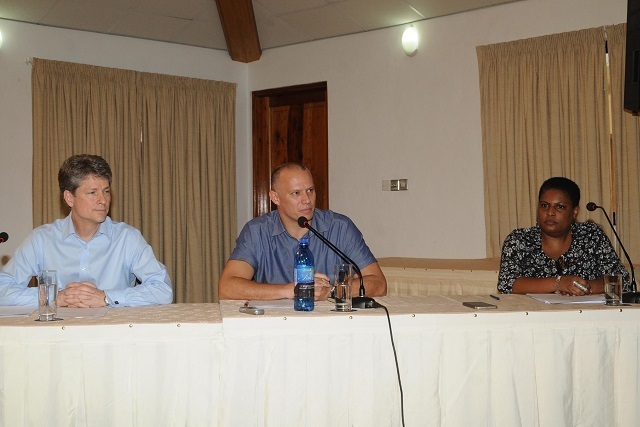 (Seychelles News Agency) - The International Monetary Fund has urged the government of Seychelles to increase its efforts towards governance and oversight of state-owned enterprises. The IMF team raised these concerns at their end-of-mission press conference held in the archipelago’s capital, Victoria on Thursday afternoon. The chief of the mission to Seychelles, Marshall Mills, highlighted the “weak operating results of certain public enterprises” as a cause for concern, and stated that the government of Seychelles needed to ensure that state-owned enterprises focused on their core mandates, minimising risk to the finances from any new mandates, and preserving space for private sector development. Mills told journalists at the conference that efforts to strengthen the results of public enterprises, one of the key pillars of the current IMF programme, were already underway. "The Public Enterprise Monitoring Commission is in place, it’s beginning to review the financial results of the companies, so this is positive and certainly from the early days of the IMF programme engagement the results have generally improved in public enterprises," he said. "But there’s still some weaknesses in certain companies, all this information is publicly disclosed now on the PEMC website." "SEYPEC has had operating losses on a cashflow basis, SPTC has a very small loss that’s continuing, and Air Seychelles has been relying on public support, which was in the budget," he explained. "These are areas where we encourage the authorities to aim for further improvement in those results, to have public enterprises reach profitability or where they provide a public service that is of broader benefit to identify that, and if necessary budget for the subsidy in a transparent manner, and a manner that’s sustainable going forward." Mills added that it was important for Seychelles to safeguard its "hard-won gains" over the past few years of economic reform, which was initiated by President James Michel in 2008, by protecting against the need for state-owned enterprises to be injected with public funds. The Minister for Finance, Trade and the Blue Economy, Jean Paul Adam, said that in its talks with the IMF, the government had been focused on reinforcing the management of state-owned enterprises. "The first element that we’ve agreed is to further strengthen the capacity of the Public Enterprise Monitoring Commission, the PEMC, which has already started its work and is already being very effective," announced Adam. "Being a small country, there are certain sectors where it has been very important that state-owned enterprises can play a role of stabilisation in the economy," he said. Minister Adam also noted that the approach the government was taking was to ensure that the public enterprises acted "as independently as possible" while still ensuring that they were closely monitored to ensure they did not "present a risk for the budget". "Obviously, quite a large number of the state-owned enterprises require injections from the budget, and these have been announced in the budget for 2015 that was passed last year for SPTC," he said. 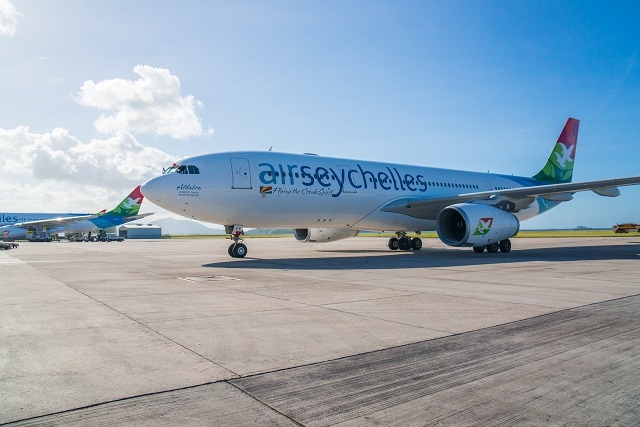 "We’ve also put in support for Air Seychelles to ensure that certain key routes can be viable, and in the context of Air Seychelles, that fits into our strategy in terms of support to the tourism sector." "The challenge of last year has shown us that we have to further create growth in the tourism sector, and we have to adapt to what the market is asking," said Adam. "There are several areas that we are looking to reinforce the action that we are taking, and Air Seychelles is one of those vehicles that we are using towards supporting the tourism sector." The IMF mission has highlighted the differences between net income and operating income and the need to be transparent about the results of large public enterprises. On March 12, Air Seychelles released their key results for 2014, declaring $3.2 million in net profits, however, in a statement issued from corporate communications by email on March 24, the national carrier said that the IMF had pointed out that the company was operating at a loss. "...the IMF reviewed the airline’s profit and loss, balance sheet, and strategic plan. While the airline’s management detailed to the IMF significant growth in the business and improvement in key indicators, the IMF observed that the airline had declared a profit at a net level, which includes all revenue and costs, but had incurred a loss at an operating level," read the statement. "The IMF expressed that Air Seychelles should also disclose financial results at an operating level, in addition to results at a net level." "There’s accounting profits, there’s public support and there’s operating results, and we think it’s useful to look at all three of them over time in the context of the strategic plan of each enterprise to come to a judgement about the role of any public support, so that was the general point that we made, and it’s relevant not only to Air Seychelles but to other large public enterprises," explained Mills at the press conference. According to the Principal Secretary of Finance, Patrick Payet, in 2014, Air Seychelles was allocated a total of $8.5 million from the national supplementary budget to finance the purchase of Twin Otter aircraft for the airline’s domestic inter-island routes. From the 2015 budget, Payet told SNA that the national carrier was given a capital injection of $5 million to cover its outstanding liabilities and a further $2 million to cover the marketing costs of its nonstop Paris flights, which are expected to commence in July. Air Seychelles was established in 1977 as Seychelles Airlines and adopted the present title in September 1978. The airline was wholly owned by the Seychelles government until January 2012 when UAE's Etihad Airways bought a 40 percent share of Air Seychelles leaving the Seychelles government with the remaining 60 percent ownership. At the press conference, Minister Adam said that all the results were included in the audited reports submitted to government by Air Seychelles. When contacted by SNA on Friday, the PEMC said that the Air Seychelles audited financial reports for 2014 were still awaiting government signoff and would only be made public on the PEMC website in the coming month. "Air Seychelles has come out of a very difficult position several years ago to become a company that is viable," said Minister Adam at the press conference. "However, government, for strategic reasons, has decided to continue to put money in to support certain routes because we know the challenges of the tourism sector are also related to connectivity challenges." "Since the beginning of this year, when we passed the budget we put in a subvention that was open, everyone saw it. We are not hiding the support we are giving to Air Seychelles, and Air Seychelles is not hiding the support that it receives." Minister Adam said that government would work closely with Air Seychelles with the support of PEMC to ensure that results are constantly monitored.